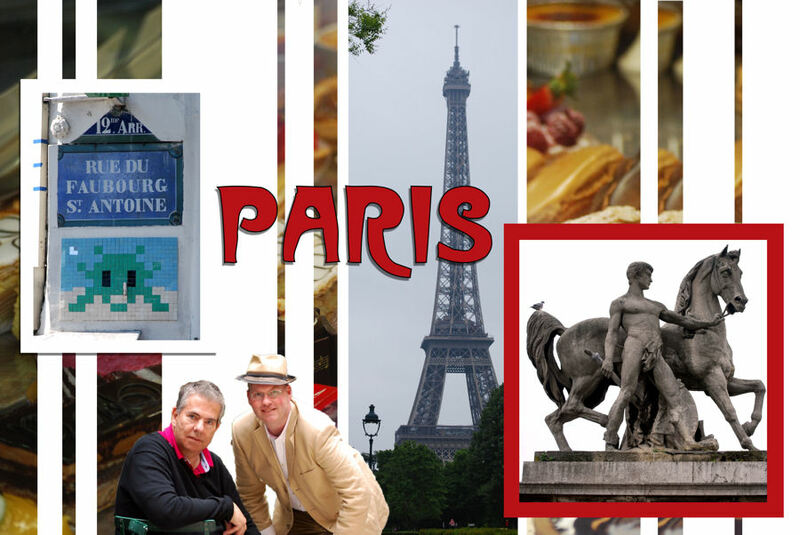 George and Nick's Paris 2013. George's birthday. Nigella Lawson Lychini. Outsider Tart's Peanut Butter Crunch Cake. Secret Paris. Invader Space Invader mosaics. Le Gaigne restaurant, Paris. 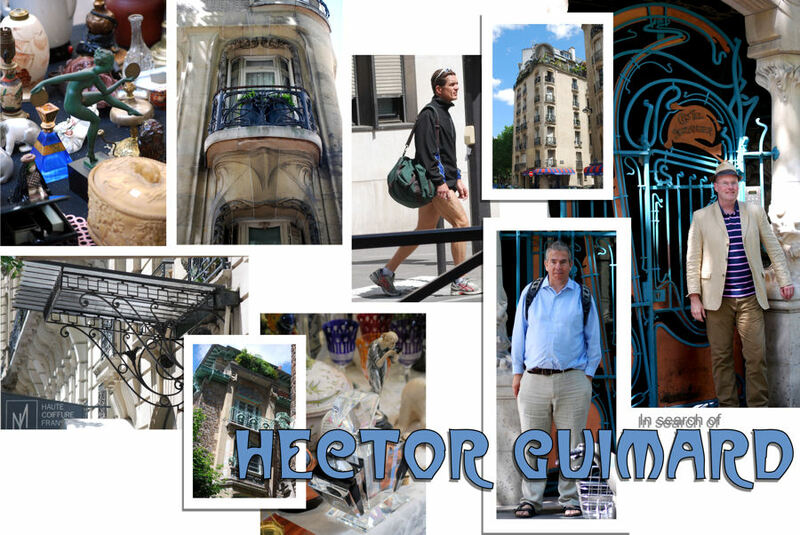 Art Noveau Hector Guimard. Musée Nissim de Camondo. Keith Haring. 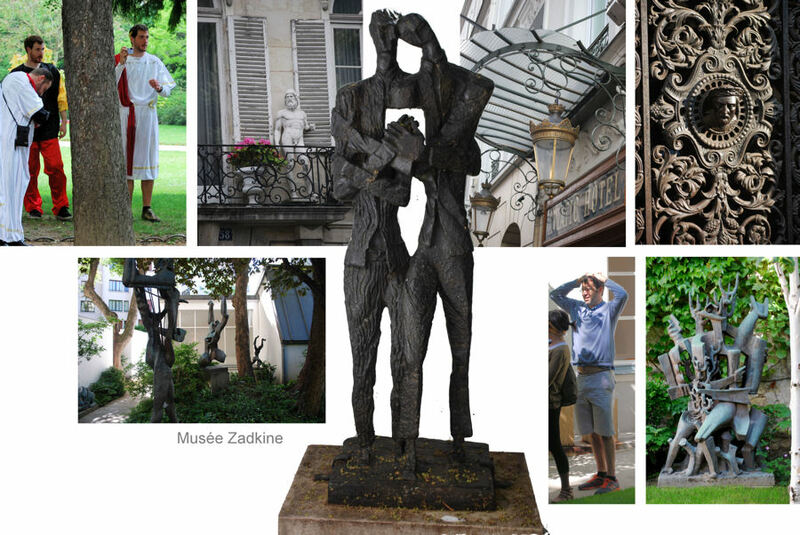 Musée Zadkine. Laurence Fox concert. George's birthday meal included Nigella's lychee martinis (last drunk in the Dordogne at Christmas), Wagamama's pork gyozas (homemade) and Outsider Tart's peanut butter crunch cake with Southern peanut butter icing. Once again, we found ourselves in Paris for birthday celebrations like last year. 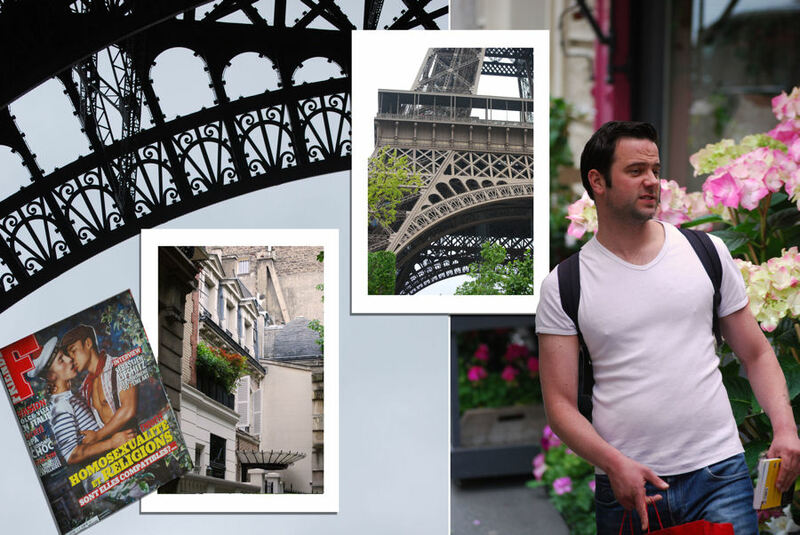 Our books, Secret Paris and Quite Corners of Paris helped us find new and quirky things to see. 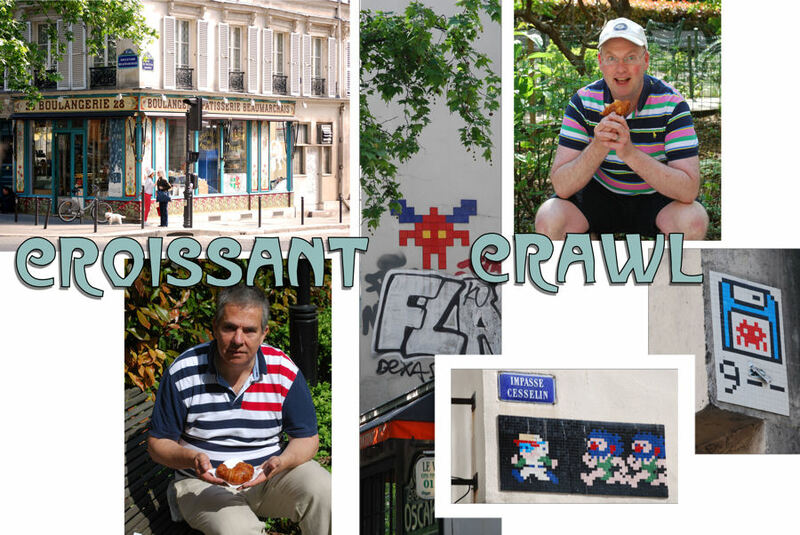 We stayed in the Monparnasse area this time, which meant we could walk to the Eiffel Tower. 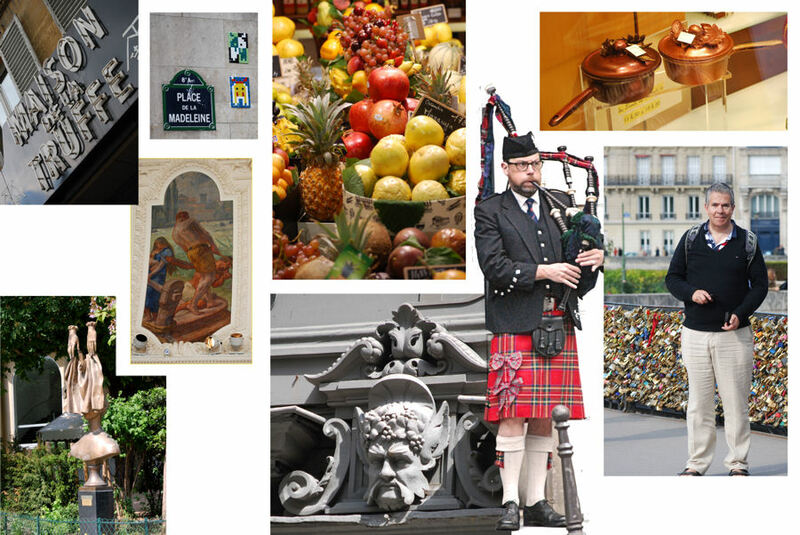 This trip was during the same time as the first gay marriage took place in France. There were lots of protestors against and it was very much in the news. In the future, hopefully it will all seem normal and accepted. Above: Invader's mosaic artwork, an elderly dog in Parc Monceau, the Musée Nissim de Camondo, and a carpet shop the same vintage as me. 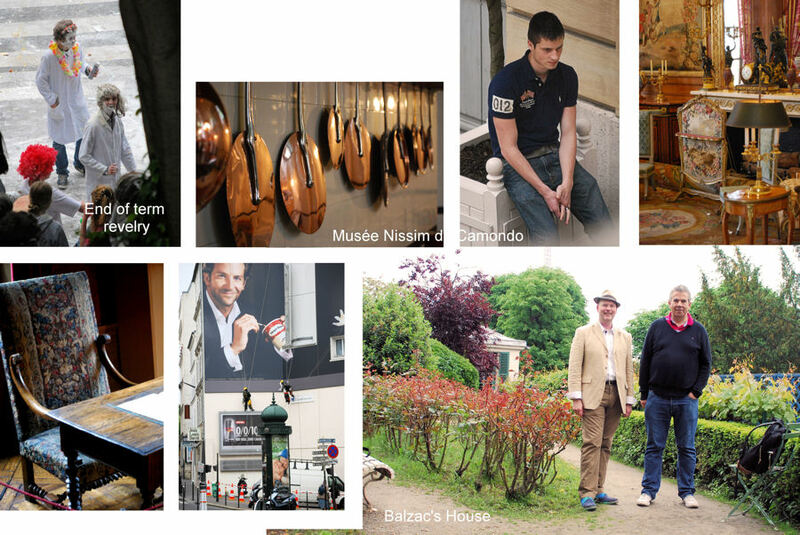 A return to Montmartre and Cocteau's lights in Studio 28, the oldest cinema in Paris. The bronze hand is from Marcel Aymé's The Man Who Walked Through Walls. 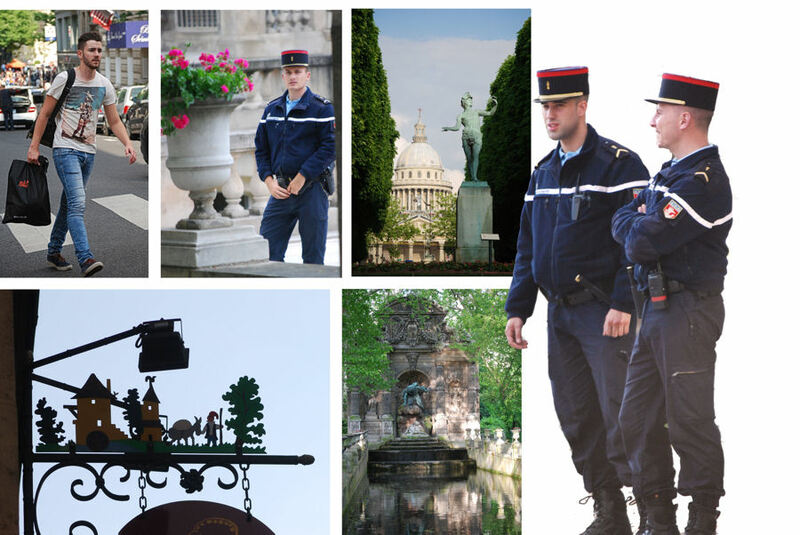 Also pictured are a security guard and a Montmartre waiter on his break. No trip to Paris is complete without a visit to Sacré-Coeur. 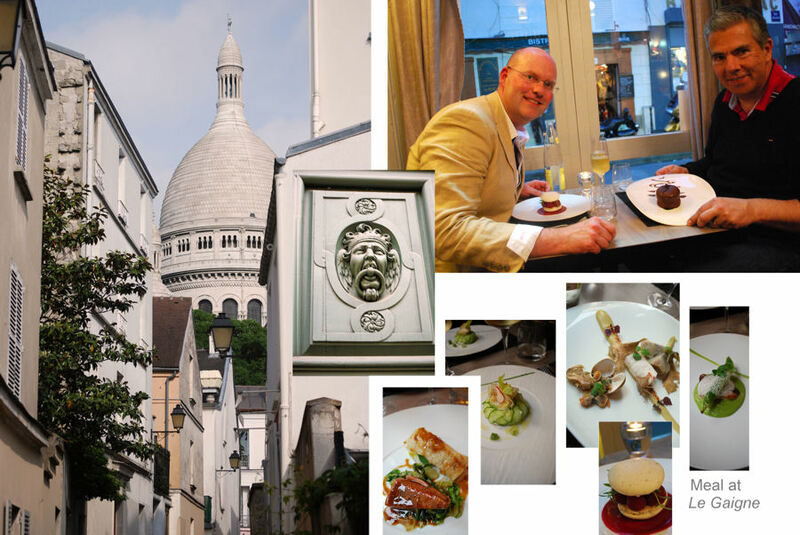 My birthday meal was at Le Gaigne, a favourite from last time. 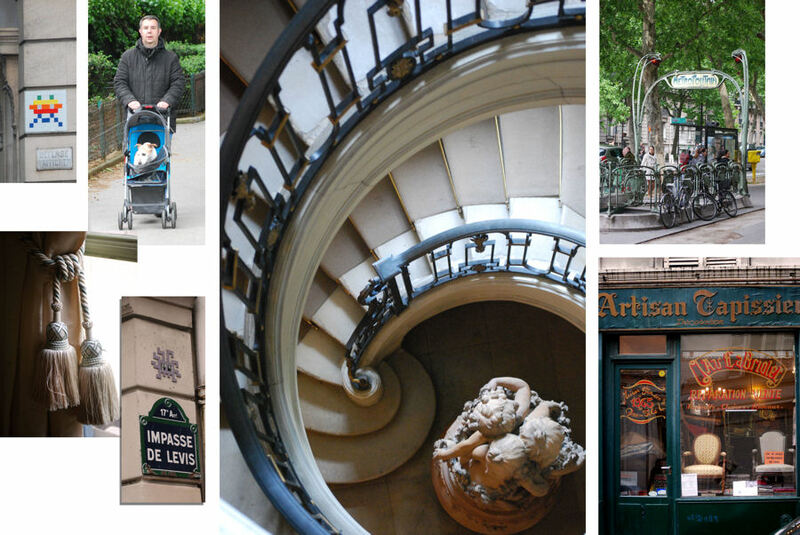 We decided to go on a "croissant crawl" of the city's finest bakeries. We compared three and found big differences in all of their wares. After seeing an interesting play about Keith Haringwe saw his work close up at the exhibition at the Musée dArt Moderne de la Ville de Paris. 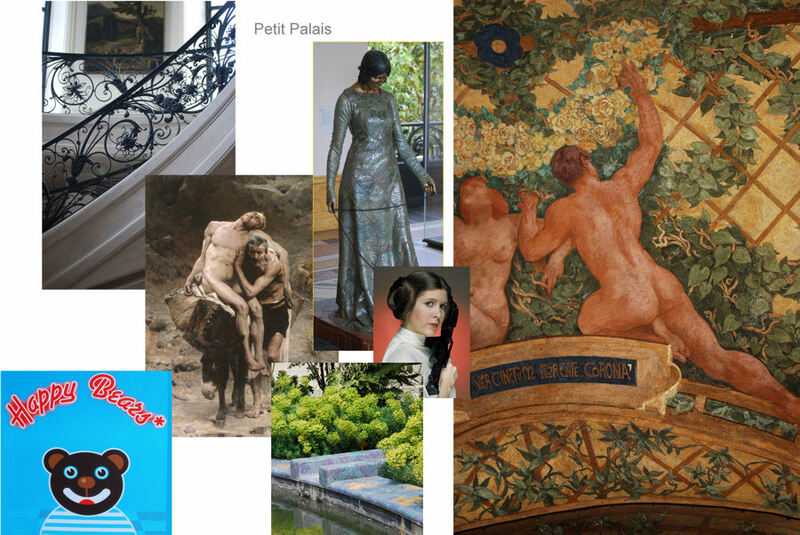 Our guidebook recommended the Petit Palais as a lesser known gallery and place to see Art Deco art and architecture. The garden was a lovely place for coffee. We took a long walk back to our apartment one evening and discovered the Jardin du Luxembourg. 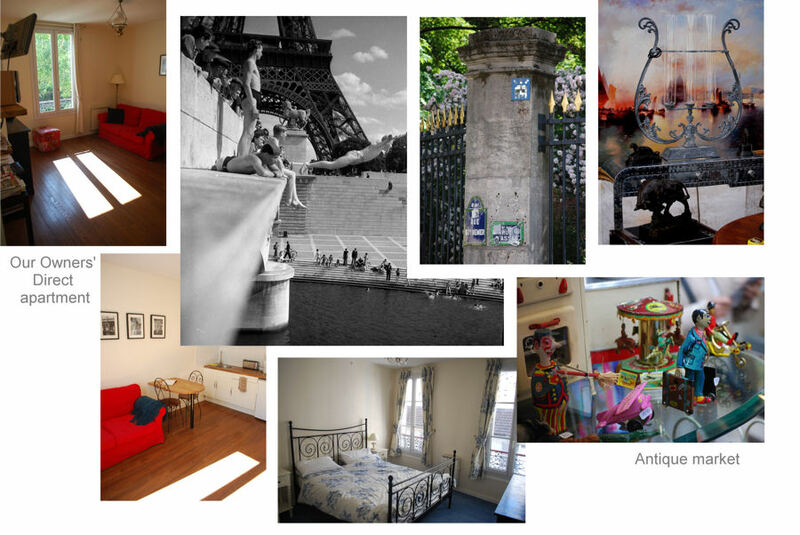 Above: our Owners' Direct apartment had a print of Robert Doisneau's Le plongeur du Pont, which I quite like. We also visited an antique market in the 16th arrondissement on our way to find houses designed by Hector Guimard. Back in England, we saw Laurence "Sargent Hathaway" Fox in concert, spectated at the annual World Naked Cycle Ride (click HERE for last year's photos), and admired the baby swans on The Common. Above: any slightly warm day causes Englishmen to behave strangely. 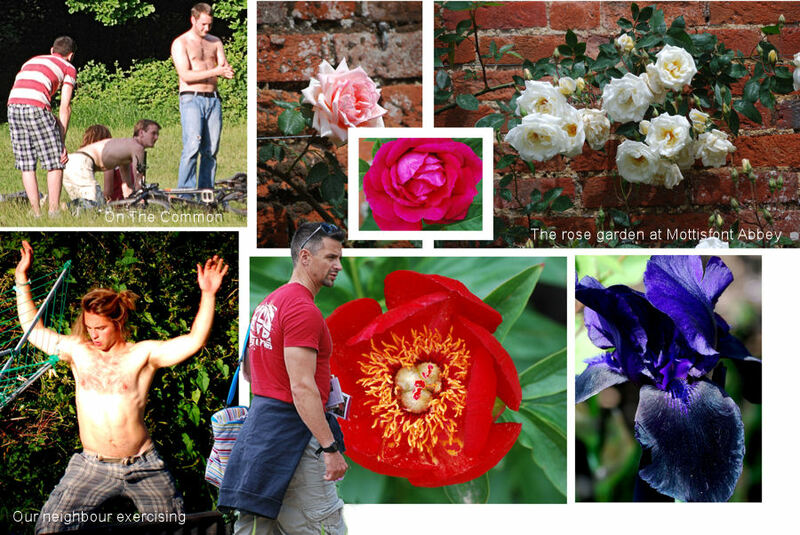 We can escape them in the walled gardens at our local abbey. Click HEREfor last year's birthday and HERE for our 2011 trip to Paris.